The Formax FD 402P3 Three Bin Paper Jogger saves time and money. The Single-Bin Paper Jogger provides quick and easy alignment for a wide variety of paper sizes up to 11" x 17". Jogging forms helps to separate them and reduce static electricity for accurate feeding through pressure sealers, folders, inserters and other paper handling equipment. Its solid state switch controls on/off and vibration speeds, up to 4,000 per minute. Electromagnetic design allows for continuous operation, while the slotted clean-outs allow paper dust, staples, paper clips and other debris to exit the jogging bin. The FD402P1 also features a tilted rack and a center divider to properly jog small paper stacks. 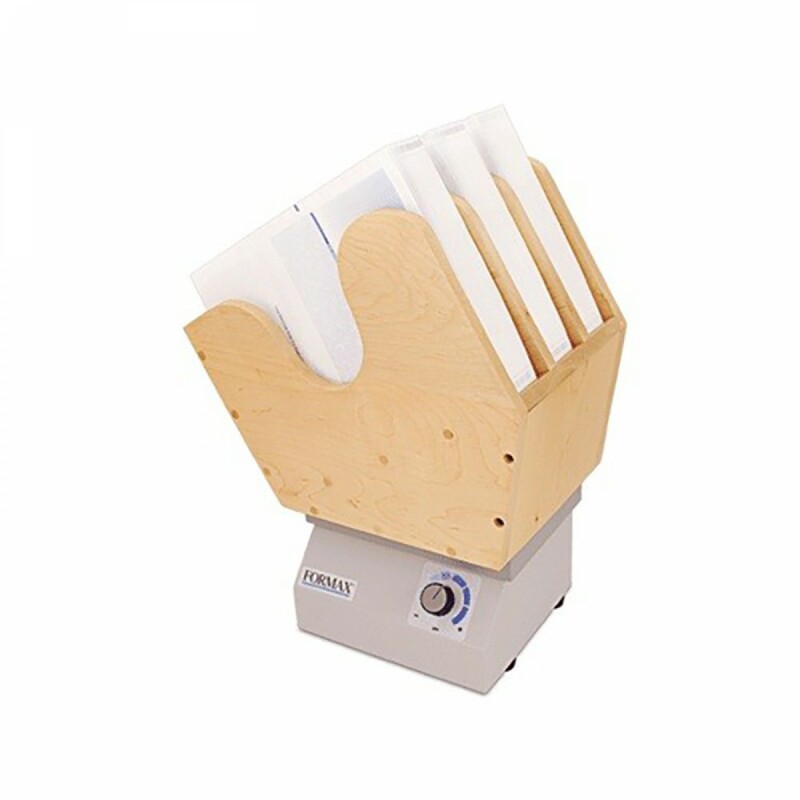 Reduce Static Electricity: By aligning paper and envelopes and reducing static electricity created by laser printers, 402 Series Joggers ensure accurate feeding by pressure sealers, folders, inserters, envelope openers and other paper handling equipment.